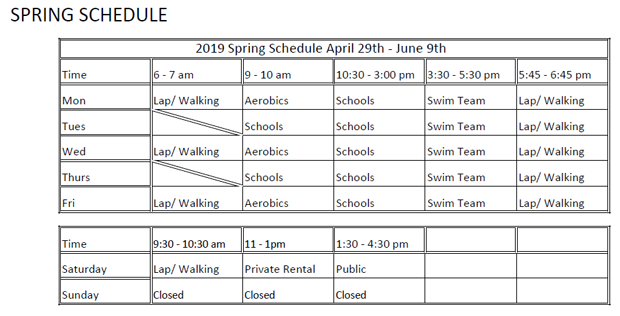 Summer is right around the corner and the Honey Lake Valley Community Pool has announced that it will open for the season on April 29th with a full schedule of lap swims, water aerobics and public swims 6-days a week. Signups for swim lessons will begin April 22nd and then continue until the classes are filled. There are four sessions of swim lessons scheduled throughout the summer; June 10th through 20th, June 24th through July 4th, July 22nd through August 2nd and August 5th through August 15th. The Swim Lessons will be offered in 2-week sessions, Monday through Thursday for a total of 8 days. They are offered at 10:00a.m., 11:00a.m. or 12:00p.m. Each lesson is 45-minutes in length and the cost is $60/ session. Water Babies and Lil-Swimmer classes for the younger kids will be offered in three sessions; June 11th through July 2nd from 6:15 to 7:00p.m., July 9th through 30th from 6:15 until 7:00p.m. and August 6th through 27th from 10:00 until 10:45am. The cost is $60 for each session. The 45-minute Water Babies class will be offered a total of 7 days. 6 days will be instructional days and the 7th day will be a practice/play day. One adult will need to be in the water with each registered water baby. The Lil- Swimmers class coincides with the water babies’ class. This is an instructor lead class, with no adult in the water, and it follows basic level 1 guidelines. It is recommended for ages 3-5 years. If a child is not 100% potty trained swim diapers must be worn in the water. 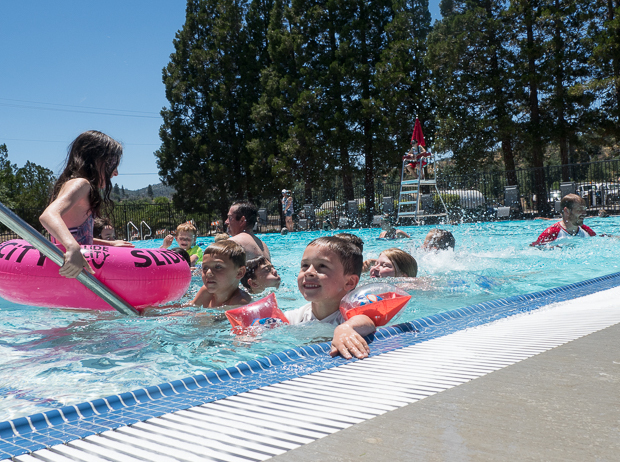 For more information on the Community Pool, which is located at 800 South Street in Susanville, follow this link to the City of Susanville’s website. I see a price for family swim, however I do not see it on the calendar. Will this be something added later in the season? Is there a number to call for signing up? May Varela Malinao Brothers Gwen Chua-Bangayan sign up na natin. Barbara Martin Muser you were right on the date! Laura Sevy I was planning to go there on Monday, now I don’t need! Laura , can I sign him up for more than 1 session? You can but it’s best to do the first session then sign him up for the next one if he graduates from that one.. not everyone graduates to the next set of lessons..